When it comes to foundation or BB creams, I'm a gal who prefers coverage over anything else. Lasting power and looking natural are added bonuses. If a BB Cream ticks all those boxes then I am more than happy to crown them as my holy grail items. Here is my all time favourite BB creams that I use on a daily basis. Garnier BB Cream Miracle Skin Perfector for Combination to Oily Skin. You have no idea how skeptical I was with this product. Only because I had pride in Korean BB creams and the fact that Korea made the best BB creams. Every time I saw a non-Korean company ie Garnier release a BB Cream, I secretly laughed at them and undermined their lack of creativity (I'm sorry Garnier!). And that all changed with this little beauty! It's funny because the reason I purchased this product was to try and see how bad it actually was compared to Korean BB creams. But ermahgawd. I fell in love right away. Note - I have fair skin and the shade used is "Light". My skin is oily/combination which means my T-zones are oily and my cheeks are dry. "Designed for oily to combination skin, our NEW BB Cream Oil Free is the daily all-in-one solution that controls shine, minimizes pores, moisturises, unifies, protects and covers your imperfections leaving you with instantly flawless matte skin. BB Cream delivers a hybrid formula that combines long-lasting 24hr hydrating care with a light touch of make-up for instantly flawless, matte skin." Ok, here comes the cons. The formula for this BB Cream is extremely thin and runny which means every time I open the cap of the tube, I need to be extra careful to hold the tube upright to avoid any spillages. I barely need to squeeze at all for the product to come out. Perhaps the tube hole is too big? But other than that I like the slick tube packaging which I would prefer anytime over a pump. Also, a good thing to note that once it's been opened, it has a shelf life of 12 months. Half of my face has BB Cream on and the other side doesn't. 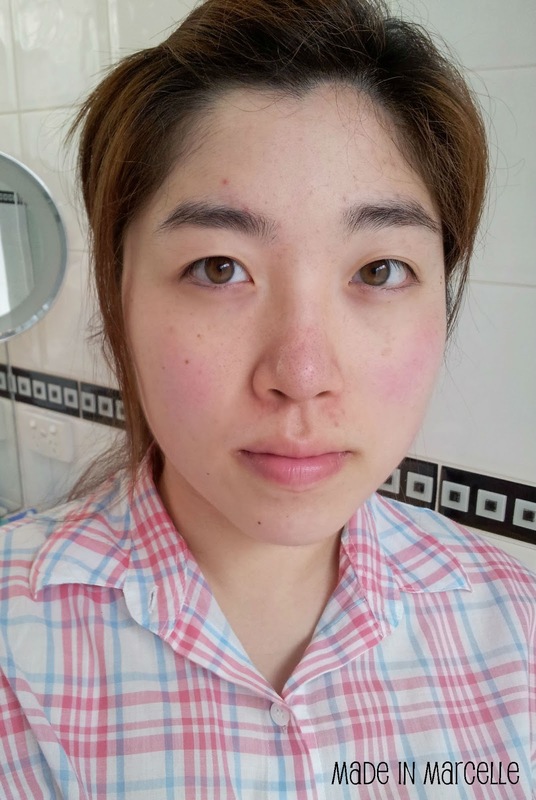 My right side of the face (shown as the left side in the photos) still has no makeup on, but the left side has the Garnier BB Cream on. You can see that my pores around the nose are still visible on the bare side. 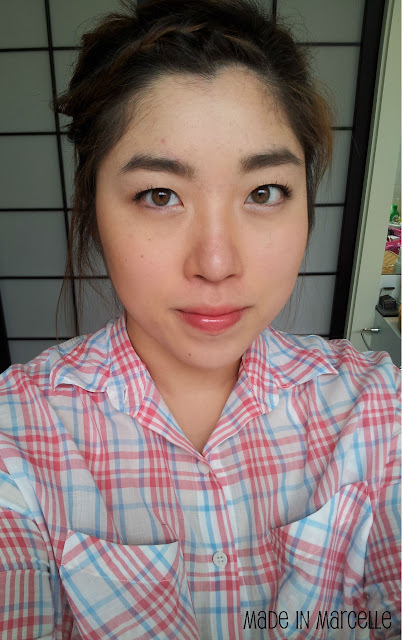 Full face with the Garnier BB cream. It gives a natural, matte finish! Side-by-side comparison of before, during, and after applying a layer of the Garnier BB cream. 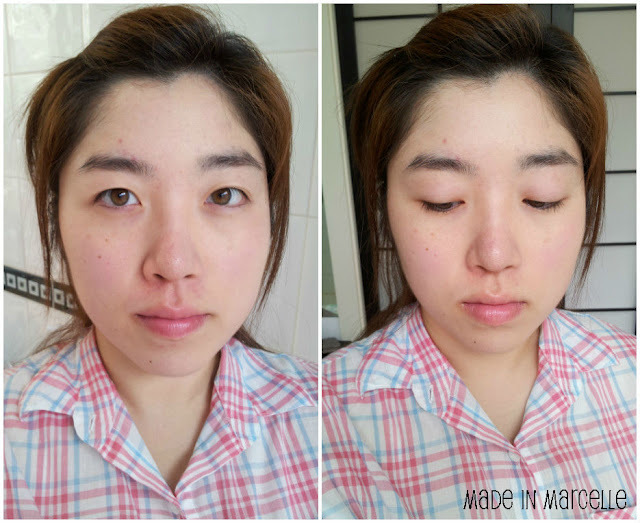 It leaves a matte finish with even skin tone, no visible pores and minimal redness. Lasts all day without touch-ups, but I do need to blot throughout the day. I do not oil up as quickly as I do with my other foundations or BB creams but I still found that I need to blot around my nose & forehead areas. 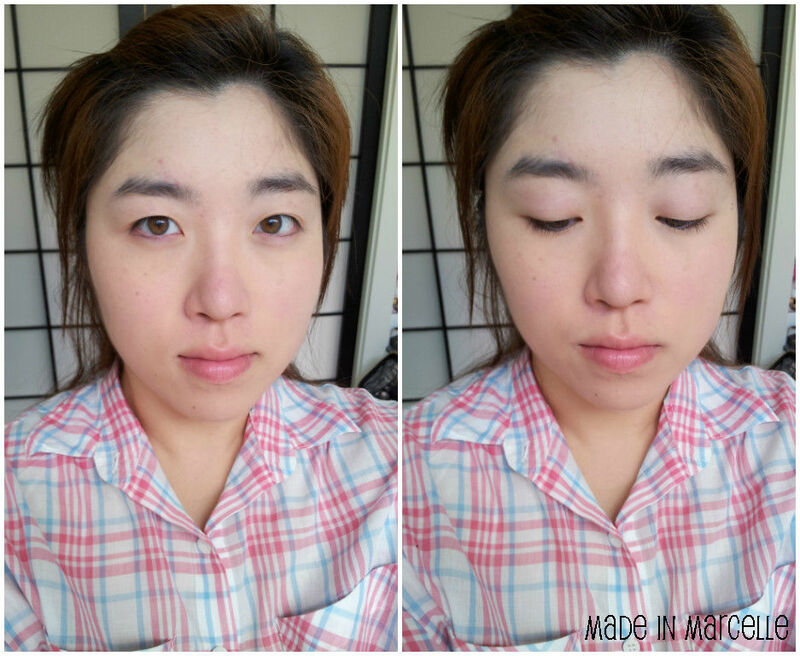 I don't notice any dryness around the cheeks while using this product which is a plus! I either use my fingers of my stippling brush for application and it blends in very naturally. I find that after a while, the shade oxidises to match my skin tone. 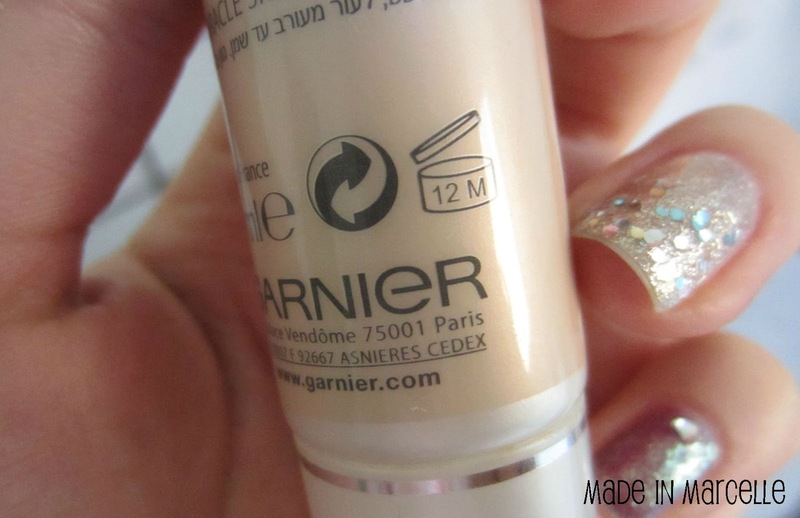 Great coverage for blemishes, pores, and redness. Formula is too runny and can cause a mess if you are a first-time user. I never thought I would end up loving a BB cream made from a non-Korean company but here I am boasting about how great the Garnier BB Cream Miracle Skin Perfector is. I would recommend it to anyone who has oily to combination skin and wants a great coverage. 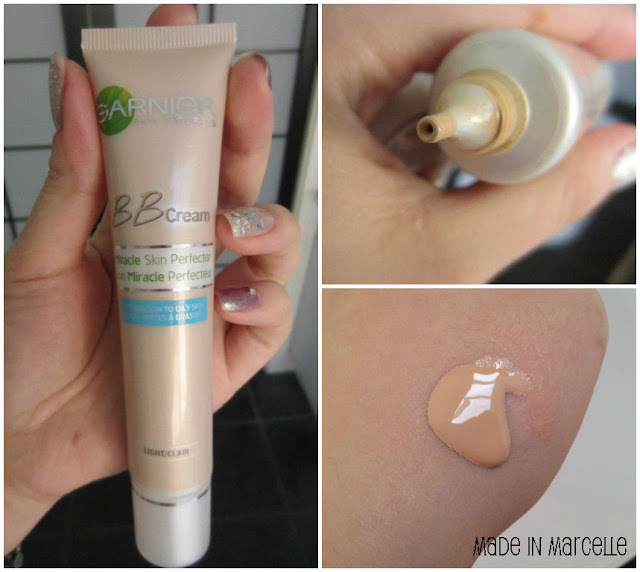 I am proud to say that this BB cream is on par with my other favourite BB cream - The Face Shop Face it Power Perfection BB Cream that I mentioned in my Liebster Award post here. If you own the Miracle Skin Perfector too, let me know what your thoughts are on them. I would love to hear whether you love 'em or hate 'em!